Every year an estimated 2 million tonnes of electronic waste is disposed of by businesses and households in the UK, with the majority of this equipment valid for refurbishment. Many components from electronic waste contain dangerous materials such as lead that are found in circuit boards, connectors often contain beryllium, and circuit boards, switches, and relays contain mercury as well chromium. These materials make recycling a complex procedure, which is why recycling electronic equipment should only be an essential measure when reuse is not a viable option. Promoting the awareness to reuse IT equipment is a fundamental goal of LoopCR, we have demonstrated year after year that with a little care and time, products has the capacity to double their shelf life. Refurbished computers and refurbished laptops are amongst the most common items given a second lease of life, we don’t stop there, ALL IT equipment that passes through our Maidstone headquarters will be tested thoroughly for potential refurbishment. Aim to reuse as much unwanted IT Equipment that we collect as possible. 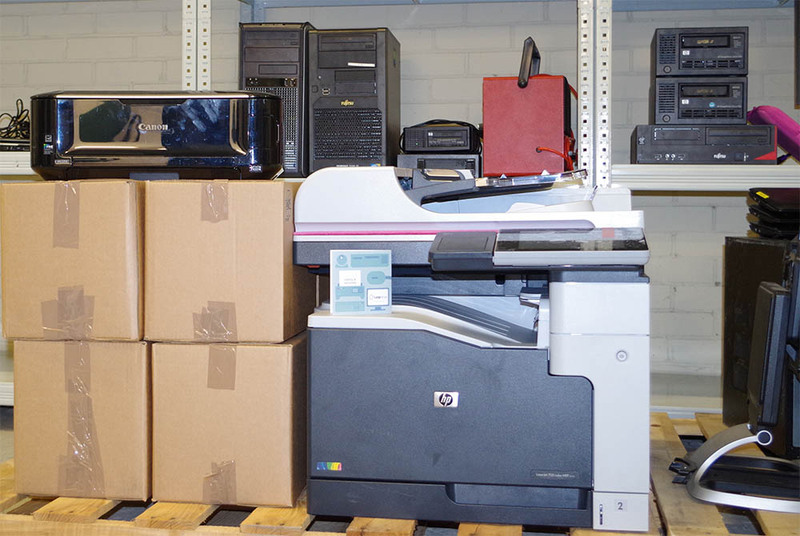 Collect, refurbish and reuse IT equipment that could otherwise end up in landfill sites. Make reused IT equipment accessible to organisations, charities and people who might otherwise not have access to it. Care about society and the environment and are dedicated to making a positive impact.